You're standing at the brink of one of the greatest economic catastrophes our country has ever seen. The federal budget is gushing red ink... the dollar is falling like a lead balloon... and banks are failing in staggering numbers. 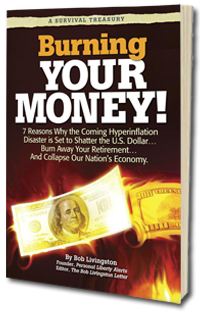 Hyperinflation is coming, but there's still time for you to insulate your wealth.